The most notable change in v0.5.0 is the addition of custom stages—you’re no longer bound to staging and production — you may define as many stages as you need for your teams or features. Now suppose your team chooses to treat staging as an environment isolated from production using different databases and resources— in this scenario you may want to introduce a qa stage for quality assurance testing before releasing to production. 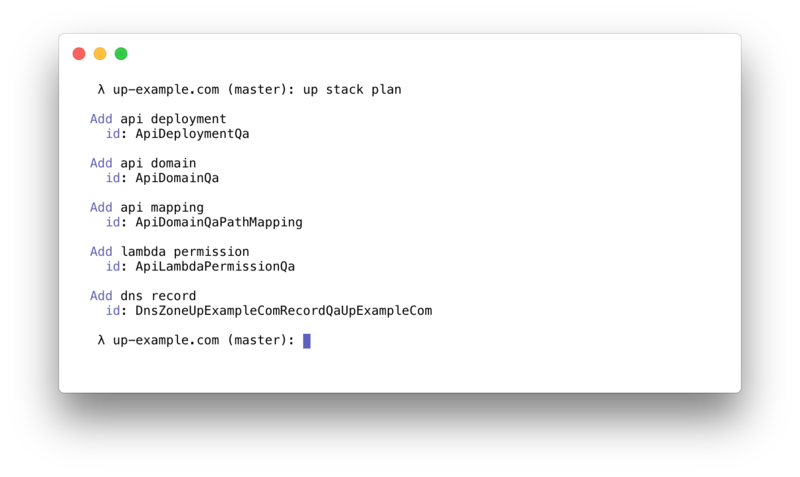 Running up stack plan will show you a preview of the changes to apply, following that with up stack apply to perform the creation of the resources. Later if you’d like to remove the stage, simply remove it from up.json and plan/apply again. 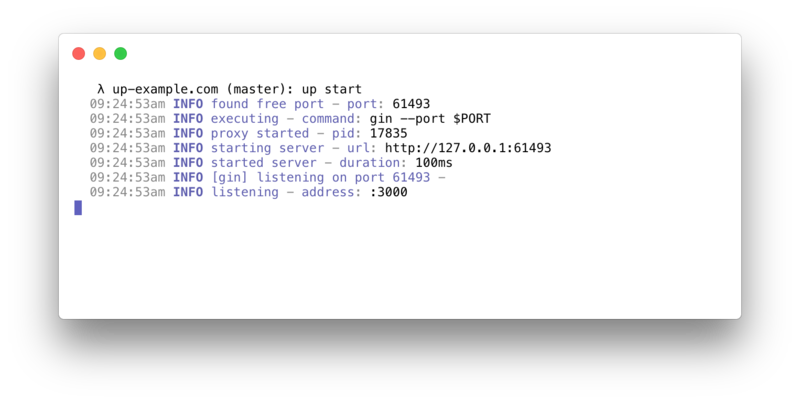 Overrides allow you to customize deployments per-stage—this is something we already saw with the development override of proxy.command in the previous section, but this works for other options as well. Here’s an example of what this might look like for a single-page app, overriding the build hook to tune the parcel flags, and increase the lambda.memory from the default of 512 to 1024 . Up Pro now supports instant rollbacks. Through the use of immutable deployments on Lambda, you can roll back to the previous (or specified) version in milliseconds. Soon Up will support deployment changelogs and interactive rollbacks which will help keep track of each release. Up provisions free SSL certificates for you via AWS ACM, and now optimizes this process so that you have fewer confirmation emails to verify. Previously Up created one per domain, for example api.myapp.com and myapp.com would require verifying two emails, however, now only a single wildcard cert is requested. Head over to our Slack if you have questions or suggestions. More coming soon!